Manufacturer of professional audio systems has granted to this company the award to the distributor with greater growth in sales SAM systems worldwide last year. The Finnish multinational Genelec He has admitted to Audio-Technica Iberia Award, the distributor with greater growth in sales in SAM systems (best growth of SAM sales) during the year 2016, that accredits the company globally as the most has increased its percentage of sales in such systems of audio dur manufacturer in the last year. Audio-Technica Iberia since they recognize that, while still the majority of the business with Genelec relies on traditional analog monitors, SAM systems represent the future, both by its sophistication and its degree of technical innovation. 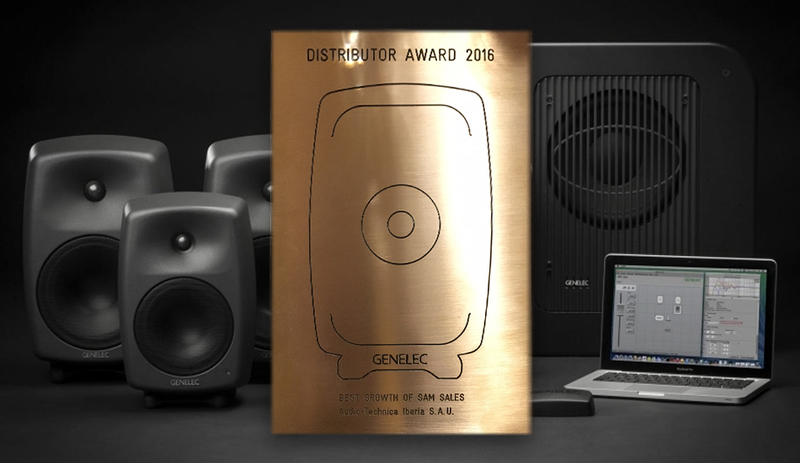 This award given by Genelec is the first received since the creation of Audio-Technica Iberia (additional information at) Digital AV Magazine) and "is all a recognition of a huge effort in terms of engineering sales, logistics and business management", as they point out from the company.